I remember when Facebook was simple: No status updates, no games, no high schoolers. In my opinion, it was elegant. There is a beauty in simplicity, a pleasant usability afforded by minimalism. In 2005, thefacebook.com was just that. A place to connect with old and new friends in a decidedly unobtrusive format. Unfortunately, that website soon forgot who it was. 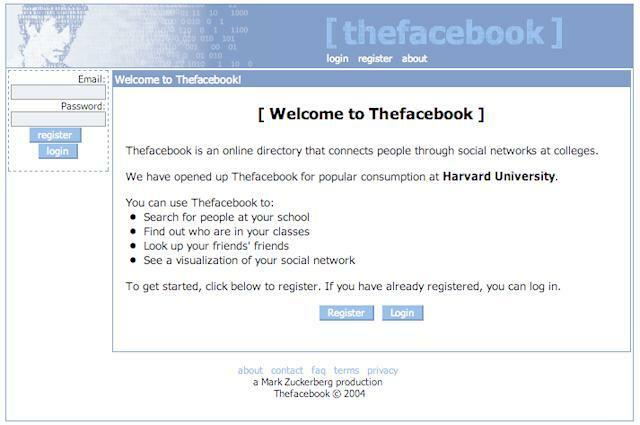 For those of you who are too young to remember, Facebook did indeed originally debut as thefacebook.com. I remember my first impressions of the site; I was wowed by the ability to easily reconnect with friends from the various high schools I had attended. You have to remember that in those days social networking as we know it today was very much in its infancy. 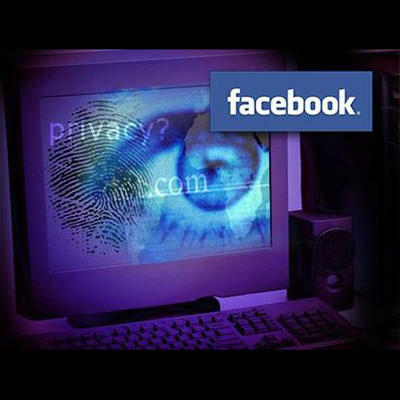 Facebook’s concept was not original, yet it was certainly the best implementation. thefacebook was the anti-MySpace. It was the clean-cut, quiet and well-behaved older sibling. In those days, access to Thefacebook was a privilege of higher education, for exclusive use by university students. It had a well-groomed, monochromatic design, a welcome departure from the blaring colors and sounds of MySpace. Unfortunately, it had to grow up. Thefacebook.com changed to Facebook.com. High schoolers were admitted entrance, followed soon after by the general public. These additions in and of themselves were not unwelcome, but distractions they created certainly were. A social network is only as good as its ability to connect people, and while Facebook was busy expanding, it was neglecting core parts of its service. The neglect continues to this day, and is only exacerbated by its seemingly endless iteration. Facebook was never a bug-free site. I remember once accidentally deleting all of the posts that my then-girlfriend’s friends had posted on her wall. That’s right, you could for a short time edit other people’s posts. That’s just how broken it was. They fixed that and other small problems before expanding their services, and goodness, how they did they grow. Since 2005, a billion features have been added. I won’t attempt to name them all, or any, for that matter. Chances are that you’re a Facebook user as well, and similarly cognizant of the 7 million features and tweaks Facebook has added in the past 3 months. You’re also probably similarly frustrated with the constant addition, subtraction and distraction that accompanies all of those features. The fundamental problem is that Facebook continues to iterate on itself before that iteration is complete. Facebook has never, never had a set identity, and that is the problem. In 2008, I was a happy. Euphoric. I could finally ditch AIM, MSN Messenger and a host of other IM clients because Facebook finally had chat. They could have stopped right there.I would have certainly preferred it. Had they spent the time to focus on refining the services that they already offered, the whole experience would have been greatly improved. Instead, they have chosen to add feature after feature, debuting them before they are even finished, and before their practicality is even considered. Facebook is making changes, but they aren’t adding value. In fact, in many ways they are decreasing the value of the services that they already have by convoluting them, or breaking their functionality and purpose completely. Take for example, messaging. What once started out as two separate features, chat and an inbox, have now merged into a blob of text. The problem is that I don’t handle those two functions the same way. I don’t write emails like I chat, nor do I chat like I send emails. More importantly, the content of my emails is of an entirely different nature than that of my instant messages, and therein lies the value of keeping them isolated. Although it certainly tugs at my nostalgia, I don’t want to spend hours poring over useless blather as I search for important information I sent in a message months ago. The odd thing is that Facebook isn’t driven by the whim of their customers. The additions that they introduce are neither asked for nor necessary. In some respects, it is inspiring to see a company so driven to innovate. The problem, however, is the rate of that innovation. In order to build on something great, you need a solid foundation, a strong identity. If that does not exist, it does not matter how high or quickly you build it, in the end it will all come crashing down.